Being a smart marketer requires having a profound understanding of persuasive sales techniques and tactics. Also, one thing that must not be forgotten is a majority of conversion rate doesn’t come from reputation or the owner of the brand; however, from the experiences of other satisfied customers. That’s the reason why Testimonial Slider WordPress is gathering more attention. Your customers might not consider you a credible source of products or information because of the fact that you’re expecting something from them in return. However, when the sales message comes directly from a genuine customer, the potential leads take it persuasively and credibly. And, when you combine that message with an attractive design or slider, the value of it becomes priceless. So, here are some of the significant reasons for why you should have testimonial sliders on your website. Why Should You Be Using Testimonial Sliders in WordPress? Of course, you’d have 100% trust in the products and services that your brand offers. However, when it comes to your potential audience, they’ll be quite sceptical about the entire scenario. Right from whether the product works for them or not, to think about the investment, they’ll have to think upon several things. Naturally, your buyers would want to know whether your business is credible for them or not before they plunge into it. With the help of a testimonial slider, you can put forth the views of your satisfied customers and resolve the doubts from the minds of potential leads. Being considered as social proof, a testimonial slider can turn out to be a significant tool when you wish to persuade a massive number of audience. With testimonials, you cannot just market your services or products. However, it’s a chance to connect with the target audience at an emotional ground. According to studies and research, it’s confirmed that people do rely on emotions and not logic while making decisions. Therefore, if your brand is competent enough to connect with customers on an emotional level, you’d be at a better position to compel them to purchase what you have to offer. So, irrespective of the emotion, your audience is likely to remember you on the basis of how you made them feel. With testimonials, you can do that the right way. At the heart of testimonials lay several stories. Be it the desire of your customer that you’d have fulfilled or a conflict that you’d have resolved. Believe it or not, the story is the universal language for humans. That’s the reason when done well, testimonials can attract your potential leads and connect with the brand on the basis of the story that you tell. One good thing that you can do is highlight the experience of your customer instead of bringing the limelight to how your brand helped them. When the lead would relate to that situation or problem, they’ll automatically consider your brand worthwhile. While selling products online, your foremost goal would be turning visitors into customers quickly, right? Obviously, you can find innumerable ways to do so. Coming to testimonials, they have been becoming a substantial part in the decision making the stage of a customer. The problem with text testimonials is that they demand a lot of time investment. Your visitors would have to scroll down a lot of text to read what your existing customers have to say about you. And, on top of that, reading text is somewhat annoying as well. That’s the reason why a majority of people leave it in between. Having testimonials displayed on a slider can keep your brand at the advantageous side. Moreover, a testimonial slider can also save a lot of real estate of your site. This technique can help you display the same old text review in a modern, mobile friendly, and beautiful way. If effectively done, it can also prove your brand trustworthy and can make it stand out from your competitors. A homepage is one of the most common places to display a testimonial, all for the right reasons. Typically, your homepage gets more clicks and visitors in comparison with any other page, right? Therefore, if you’re publishing positive feedback from a customer in the front and centre, your visitors will surely stumble upon it, without scrolling too profoundly. In fact, glancing over positive reviews will promptly compel them to explore your products and services further. So, if you’re using this space for testimonials, make sure you’re putting the slider in a visible area so it wouldn’t get missed. If a customer is interested in your product or service, showing a testimonial on that specific page can act as an additional nudge to make them complete the purchase. If you look into statistics, it’s said that 88% of online buyers trust testimonials when buying something. 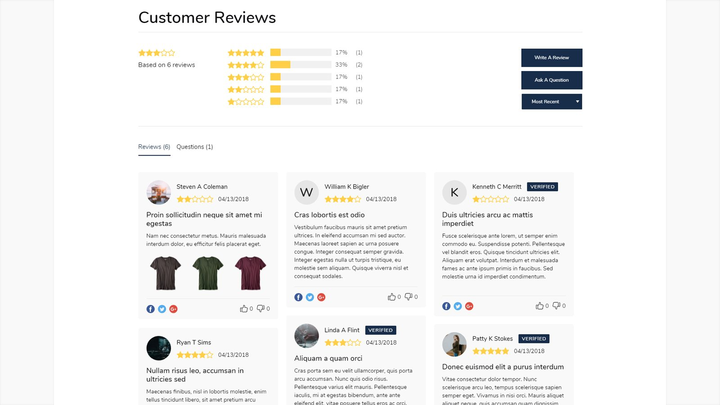 In such a scenario, showing positive comments from your satisfied and happy customers on the product or service page would be extremely beneficial for you. Call-to-actions, like sign up or contact buttons, would already be acting like prompts to convert your visitors. When the traffic comes across a button that asks them to buy a product or a service from your website, having a positive experience written side by in the form of a testimonial would give them another reason to go for your brand. This strategy can be constructive for you in obtaining a high conversion rate. In fact, its success rate can be figured out from the fact that several top-notch companies are using this tactic to attract their respective target audiences. Having a dedicated separate testimonial page would be a great idea, especially if you have a considerable number of reviews coming from influential companies or people of your niche. And then, creating a different space on the website where you can highlight your customers, be it organizations or individuals, might encourage them to provide you even more beautiful and genuine testimonials. The key to a testimonial page would be a smart layout, where you must be presenting the content in such a way that it can be easily read and absorbed by your website visitors. If you want, you can include a bit of everything on this page, logo, a hero image, video link, etc. However, make sure that you don’t overload the information. Being one of the most popular testimonial formats, Quote testimonials are being considered by a vast majority of people. They’re versatile, look beautiful, and leave a positive impression on your website visitors. Just as the name suggests, these are the kind of reviews that are taken directly from a quote provided by the customer. In modern designs, these quotes are accompanied by an image of the person to make it look trustworthy and genuine. The popularity of social media isn’t concealed from anyone. And, customers find it even more convenient to review your products and services on social media platforms than anywhere else. With this, you can surely make the most out of the posts coming on your channels. All you’d have to do is take screenshots from Facebook or Twitter and showcase it attractively in a slider on the website. There you have it. These screenshots would serve instant proof that your users are satisfied with your brand. Moreover, most of these posts remain public; thus, anyone can visit your page and cross-check the authenticity of the screenshots you’ve posted. Another amazing testimonial example of incorporating would be a video testimonial slider. In recent years, videos have been gaining a lot of popularity and fame. And, more than anything else, it’s even easier to create and publish a video testimonial on the website. One of the best things about them is that they stand out from the rest of the methods and leave a great impression. Your leads tend to get more attracted towards a person talking in an actual voice. It establishes more trust and likability. 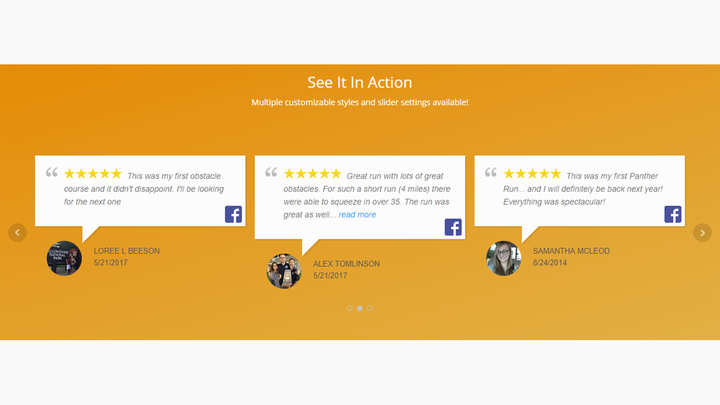 If you don’t have customers’ images or don’t wish to showcase them, you can use this type of testimonial slider. The testimonial showcase slider shows how essential a good text is. If you have good text with you, you wouldn’t need to display images to convert your leads into customers. Moreover, to strengthen the message, you can also put a 5-star rating on the slider. 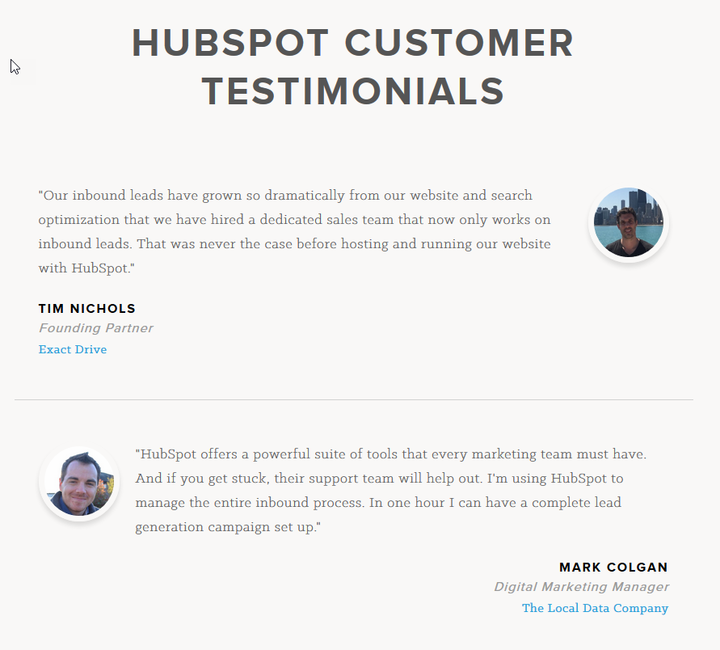 You can also put a Read More button to testimonials if you have a dedicated page. It will redirect your users to know more about what customers have to say about your brand. 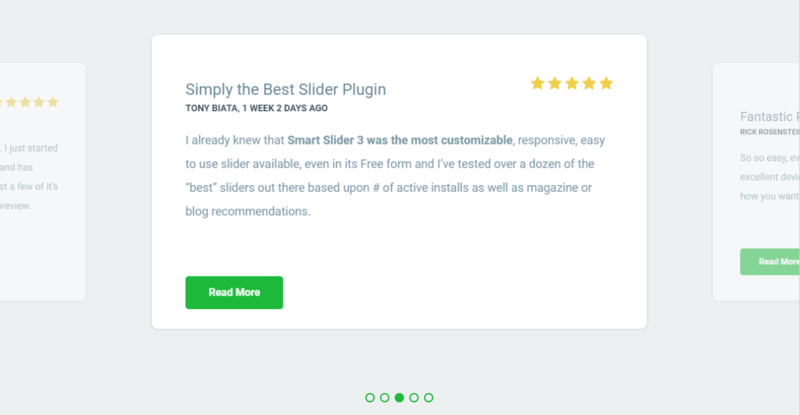 When it comes to embedding an attractive slider on a WordPress website, you’re sure to come across plenty of WordPress testimonial plugins and tools. Although all of them come with their own pros and cons, deciding upon a particular one can become a bit tough, especially if you aren’t familiar with the features that you may want. In such a scenario, SlideDeck can come to your rescue. Specially designed to fulfill your slider requirements, this plugin is almost everything you’d need to design carousels and testimonials sliders. So, without any further ado, let’s dive into the details and find out its efficient features. SlideDeck provides you with an opportunity to create a variety of sliders. Whether you want to choose images or videos, everything can be done with this plugin. Not just that, but you can also create a post slider and product slider. Therefore, SlideDeck makes it immensely easier to experiment with testimonial types and kinds. There’s undoubtedly no point of displaying testimonial sliders unless you cannot customize them to match your requirements. With SlideDeck alterations and tweaks are as easy as a breeze. 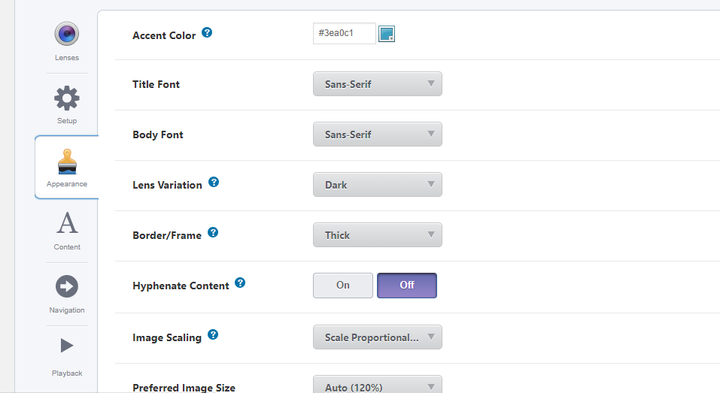 Right from adding custom fonts to modifying text content, you can do so much with it. It also lets you change the navigation style, adds attractive transitions, and customize every other element to make the interface easy to use for your visitors. To make the process easier for you, SlideDeck doesn’t come with any restrictions whatsoever. Whether you’d like to display the slider on the homepage or landing page, or you’re making a dedicated page for testimonials, this plugin supports all of your choices. It can also help you display the testimony on different posts as well. Another fantastic feature that this slider comes with is its responsiveness. Of course, you’d want the elements of your site to displayed equally to all of your visitors, irrespective of the device that they’re using, right? With SlideDeck, that’s even possible. This one is a responsive plugin. Therefore, every slider that you’ll make will be amazing visible to all of your website visitors across different devices with various resolutions as well as different browsers. When it comes to setting up SlideDeck on WordPress, the process is quite simple. In fact, it can be done in a few steps. Just like any other plugin, installing and activating SlideDeck isn’t a big deal. That’s it. SlideDeck has been installed successfully on your website. You’ll find SlideDeck option on the left side of the panel on your WordPress dashboard. Clicking on that, you’ll get options to begin the process by creating sliders. Either you can choose the templates available or build on your own from scratch. Attracting new customers and clients through testimonials of previous customers isn’t a new technique. In fact, it’s a proven one to fetch you higher conversion rates. However, it all depends upon how you make the most out of this technique. 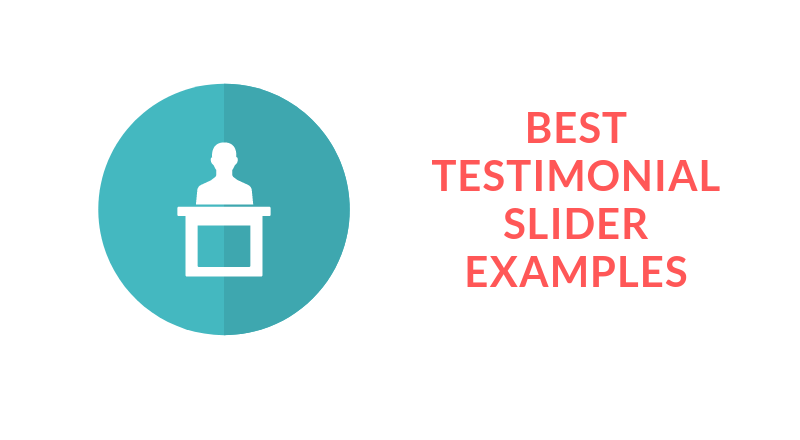 So, if you’re ready to create a testimonial carousel for your WordPress website, install SlideDeck today and begin the journey of enchanting testimonial sliders today.